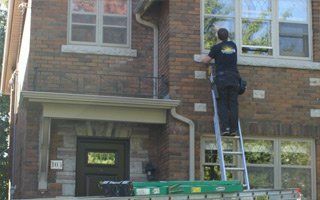 Whether you have been in the window cleaning industry for five years or you are just getting into the field, you already know that this service is in high demand in a capital city like Ottawa in Canada. With that being said, there are tons of things that you have to consider as a window-cleaning contractor. First and foremost, you need to think about protecting yourself and your employees in the event of a mishap. This is where general liability insurance for window cleaning contractors can come in extremely handy. In fact, a lot of consumers probably will not even consider you a professional contractor, if you do not carry this type of insurance coverage. Below, you will learn more about liability insurance and why it is important to you as a window-cleaning contractor. As a window-cleaning contractor you probably oftentimes find yourself in customers’ homes and places of business. Unfortunately, during these situations there is a high risk of property or structural damage along will damaging of equipment and company tools that could occur. For instance, you could accidentally drop a bucket off your ladder and it could fall and break a priceless vase or picture frame. Needless to say, the customer would not be happy and would automatically expect reimbursement. When a situation like this occurs the contractor can pay a deductible and the general liability insurance coverage will pay to have the item repaired or replaced. When you are working inside someone’s home or place of business the last thing you want to do is cause an injury. Unfortunately, these situations occur more than you can imagine. And, as a contractor there is a good chance that you will experience one at least once or twice in your career, regardless of how careful you are. For instance, you could be working up high on a ladder or scaffolding, accidently drop something off, and if it lands on someone it is probably going to do major damage. With the cost of medical care rising in Canada, trying to pay for the cost of those medical bills out of pocket would be nearly impossible. An incident like this might even force a smaller contractor right out of business. However, with general liability insurance for window cleaning contractors, you can completely avoid an incident like this. When a situation like this takes place the insurance policy will usually cover the medical bills of the individual that was injured. If you were looking to protect yourself in the event you incur injuries or sickness, it would be a great idea to potentially explore health insurance options for yourself! Hiring a lawyer, paying court costs and processing fees is never a fun experience or inexpensive service. If you find yourself in a situation where one of your customers is injured due to you or one of your employees’ mistakes, there is a good chance that they might try to sue you. Even if you are willing to cover the medical costs, there are some individuals out there that will try to take the situation a step further. General liability insurance can come in extremely handy in these types of situations. The insurance policy can help pay for any legal fees or court costs that you might experience throughout the whole situation. This can be very handy, as most court cases like these tend to drag on for years and years while the legal expenses just pile up. If you are a smaller contractor with limited resources this could completely cripple your business and force you to shut your doors. It does not matter how prepared or how careful you are, there are always unexpected situations that can happen at the drop of a hat. If you are not prepared for these types of situations it can really throw a wrench in your financial and business plans. However, general liability insurance can truly help you be prepared and ready for these situations. For instance, if you are cleaning a window in Brampton, Ontario and that window accidentally just breaks right out of the blue and causes major property damage, what are you going to do? What if all the glass shards fall on someone’s brand new car or on expensive hardwood flooring? Of course, the customer is going to seek out reimbursement from your company, even though you did nothing wrong. Which is going to be pretty expensive depending on the item or items that were damaged. Unfortunately, you will be responsible in a situation like this, but general liability insurance can provide you with the coverage that you need.